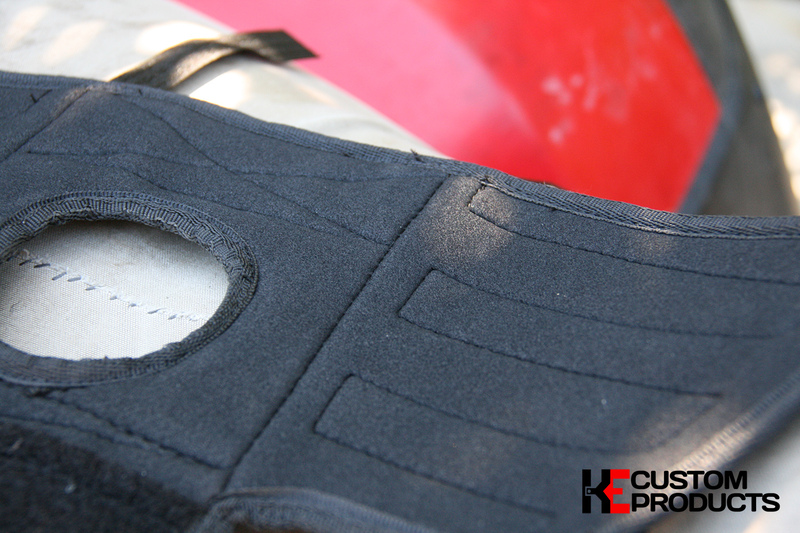 So let’s take a closer look at the KETUB, straight out of the bag you get a base plate which is the foundation of the bag featuring two velcro panels either side of the fuel cap, this is where the Molle side panels attach. 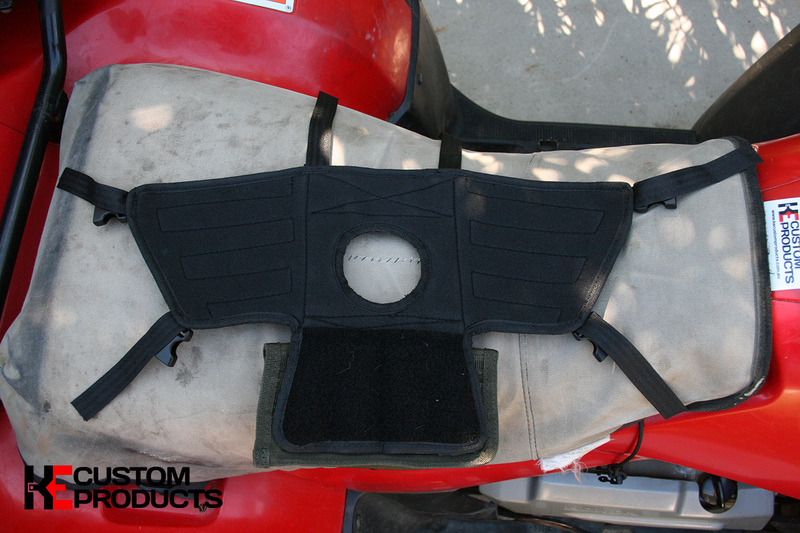 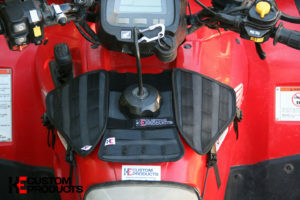 Underneath you find a soft EVA foam backing that is designed to be both grippy to the tank yet not damaging. 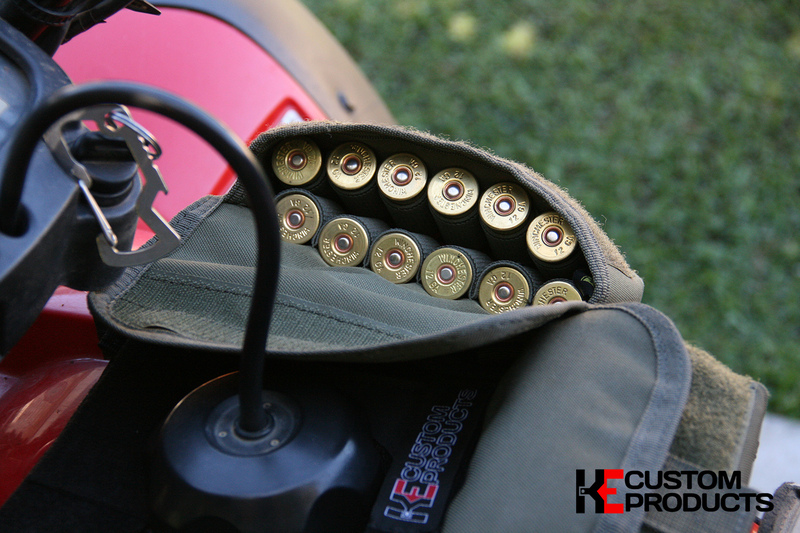 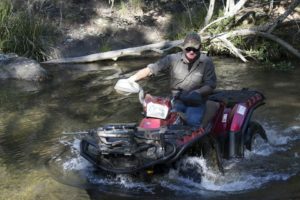 The KETUB can also be purchased with a custom made canvas bag large enough to hold spares, lunch or general hunting equipment. 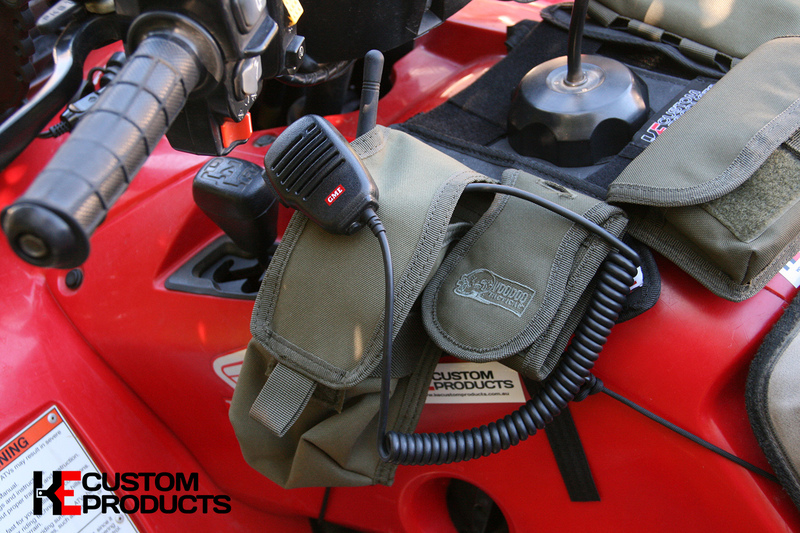 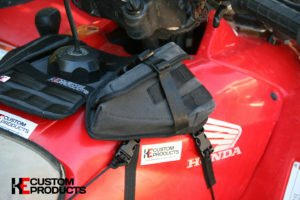 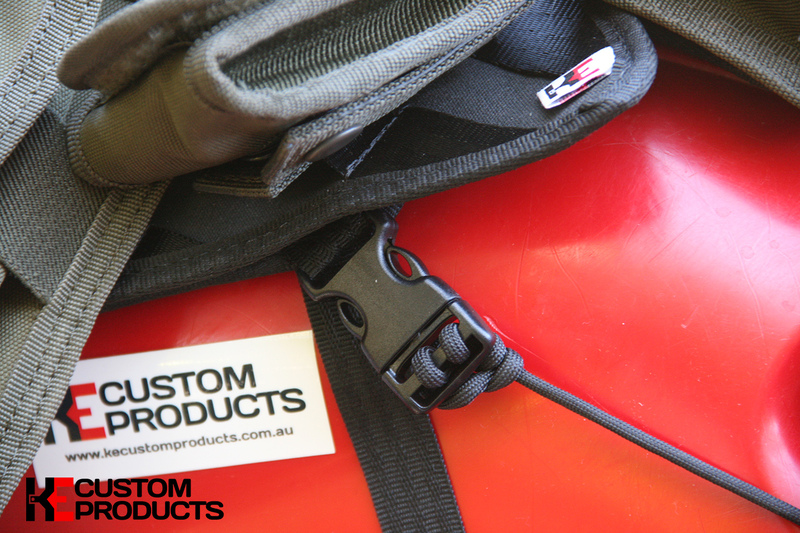 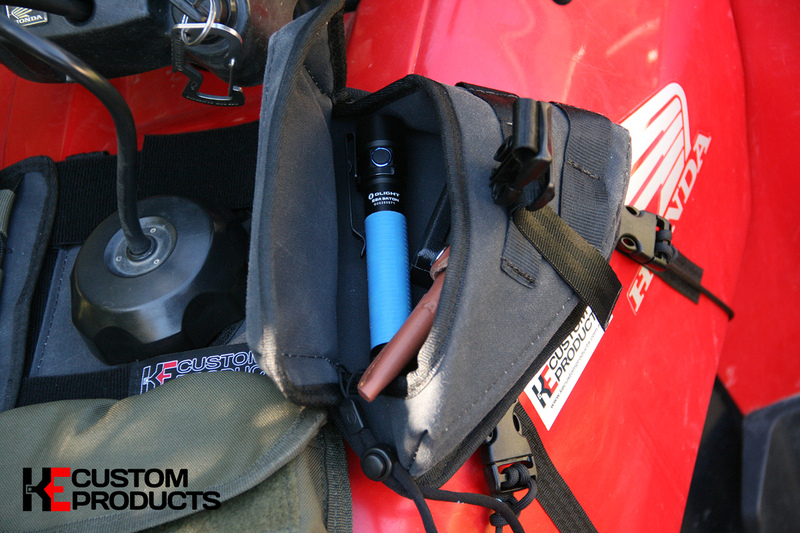 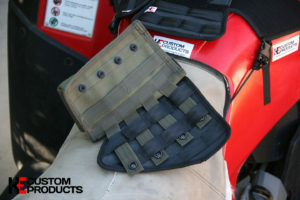 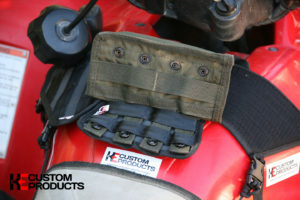 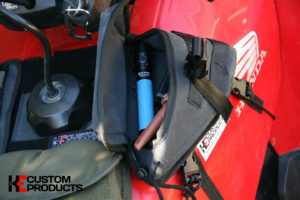 This pouch also features two strips of Molle webbing to allow fitment of additional attachments. 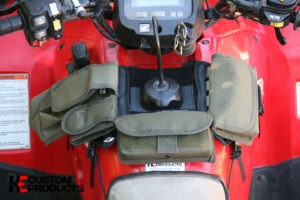 Now fitting this bag can be a little tricky depending on the model of bike you have, two wheelers and quads with top mounted fuelling points have the added benefit of securing via the fuel cap. But don’t stress if your bike doesn’t have the top of tank fuel point, KE Custom have thought of this too, the KETUB features 6 buckle mounting points (2 on each wing) so that it can be secured to any tank! 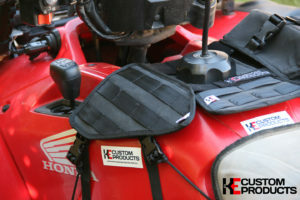 Now we have the perfect mounting platform lets get into the fun stuff – ATTACHMENTS! With thanks to Voodoo Tactical Australia, we have added a 12rnd shotgun pouch, 20rnd cartridge pouch, UHF pouch and Gadget holder to the KETUB. 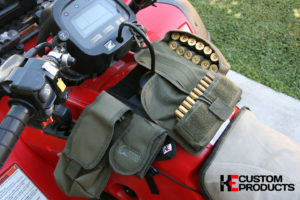 This is where it gets exciting, we now have secure ammo/equipment storage right at our fingertips! 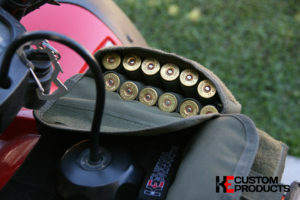 As we usually carry a shotgun and centrefire we now have fast access to ammunition without digging through messy boxes or deep-pocketed bags wasting critical reloading time! 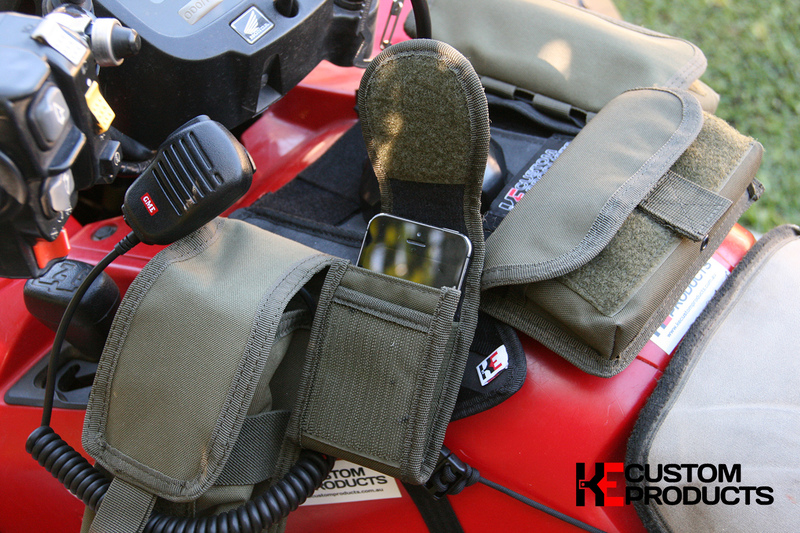 We have had the KETUB attached to our bikes on a number of hunts now in very rough country and can confidently say that this product has been well designed to suit the country we hunt, the wings are secured via the supplied buckles and paracord meaning they wont flap around and the the fabrics used won’t deteriorate under normal hunting conditions. The velcro is strong enough to securely hold the weight of a fully packed pouch and requires significant force to remove panels giving you peace of mind knowing your valuables are secure, especially running corrugation in crop country!